Cornell Dam, Croton Lake, N.Y. Click the image to enlarge it. 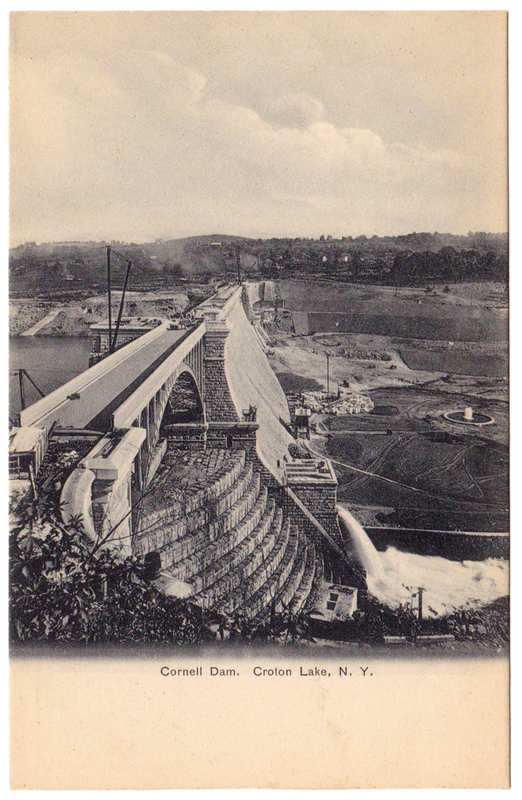 Here’s a nice view of the nearly-completed New Croton Dam (also known as the Cornell Dam) circa 1907. We can roughly date the image from the state of construction and the card itself because it’s an “undivided back” postcard, issued during the period from 1901 to 1907. Until 1907 only the mailing address could be written on the back of the card. This card was published by William Terhune in “Ossining on Hudson” and printed in Germany.